Zoe is 21 years old and has Cystic Fibrosis (CF). CF is a life-threatening genetic disease that causes severe damage to the lungs and digestive system. It likely leads to a double lung transplant at a very young age for those with this disease. Zoe has struggled to work and become ill multiple times, needing in-patient care where treatment averages 2 weeks each time. During one of the times Zoe was hospitalized, the stuffing of a rabbit was removed and then filled with delicious high-calorie treats. The treat-stuffed rabbit was closed with velcro and given to Zoe, to help her gain the weight she needed to be healthy. The treat-stuffed rabbit spawned a new idea that has been put into action with the Zoe Bear Project. Volunteers are helping to stuff bears with snacks and treats that are sent to people with CF to help meet their caloric goals. Roughly 800-850 patients with CF are in and out of the hospital every year. Money raised from the GoFundMe campaign will go to the teddy bears, snacks, and shipping costs. 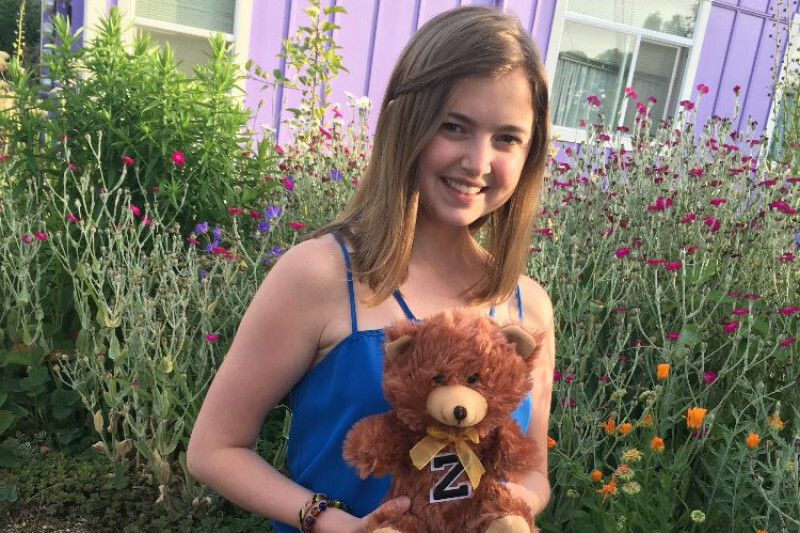 Thank you for reading and helping out with the Zoe Bear Project!